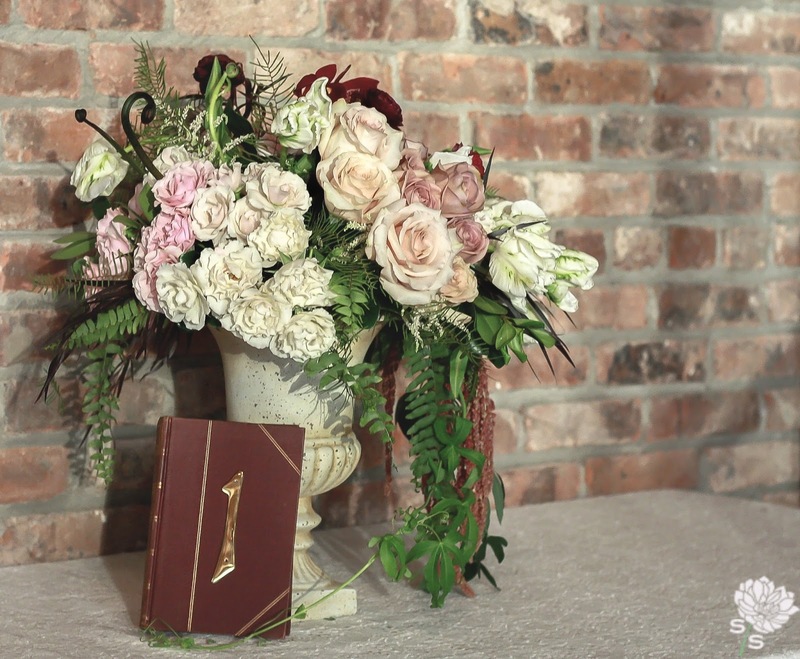 Tierney and Vince were married at The Roundhouse in Beacon, NY. 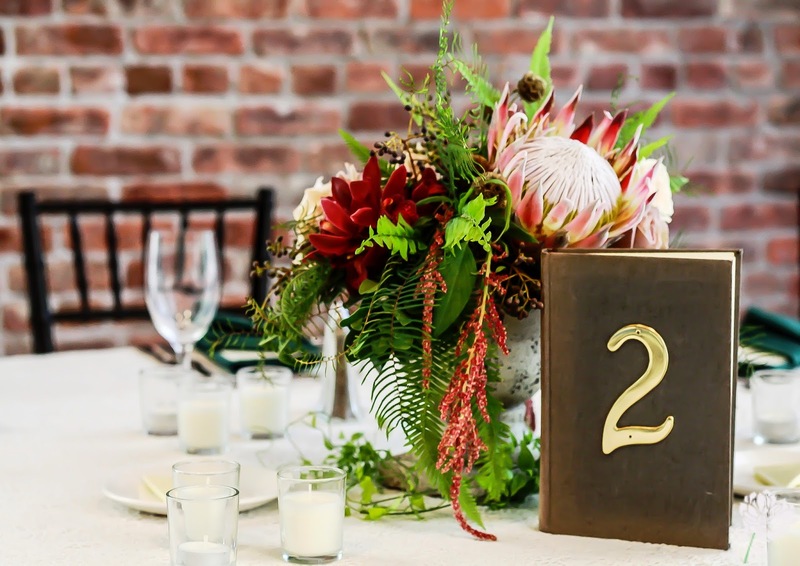 Its warehouse spaciousness and exposed brick lent a touch of rustic charm to this venue's otherwise modern feel. Its 20 foot high glass walls and wrap around patios overlook a great waterfall. 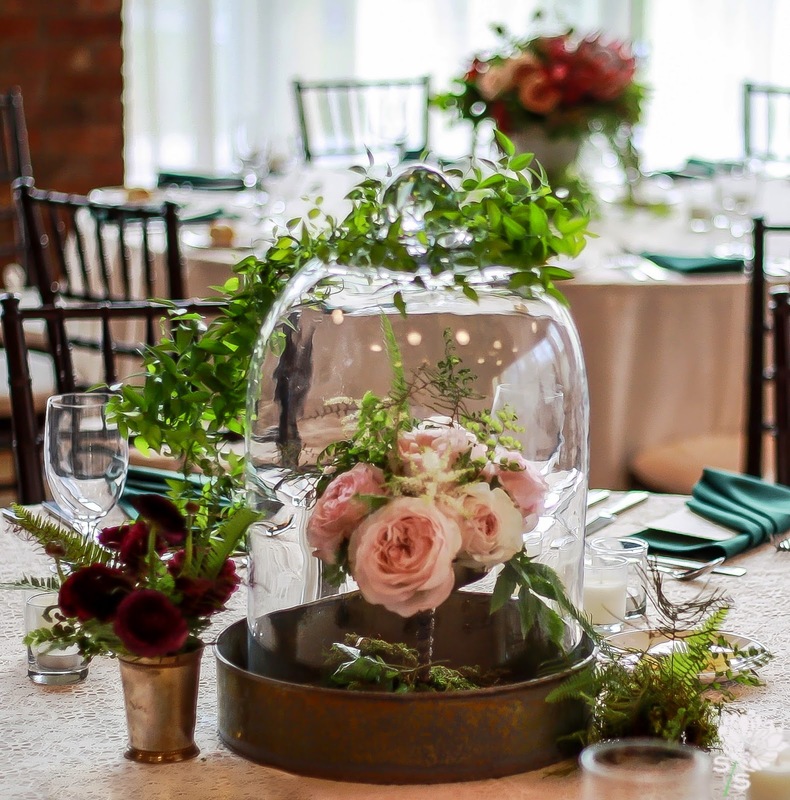 The Roundhouse is just another example of the absolutely fantastic wedding venues in the Hudson Valley. Tierney and Vince have been planning her wedding for 2 years! I can truly say I loved working with this fantastic couple and am so happy for them! 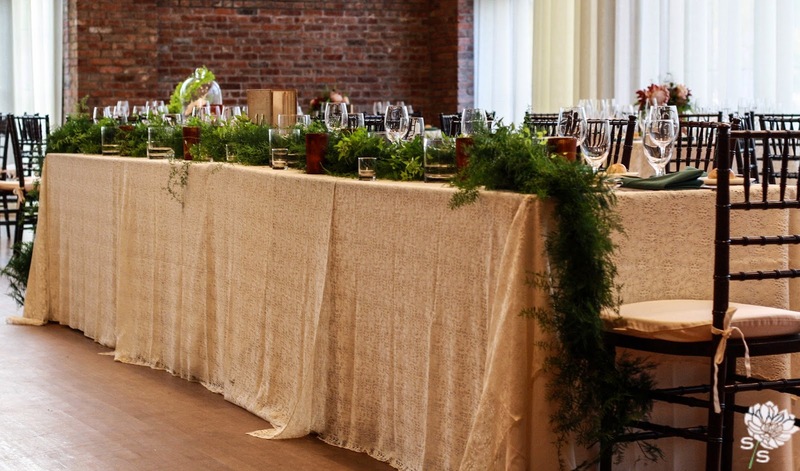 Mantle garland composed of mixed greens, lush foliage and vines. 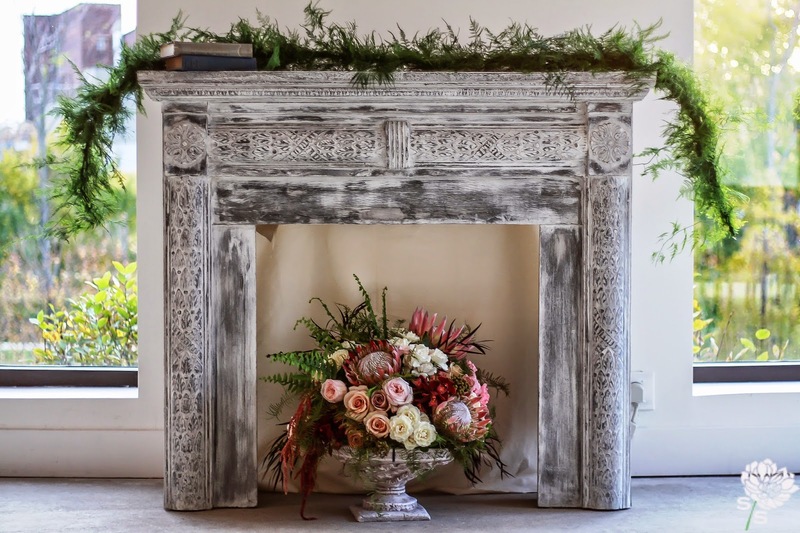 Candles are not the only things that look great in a faux fireplace! 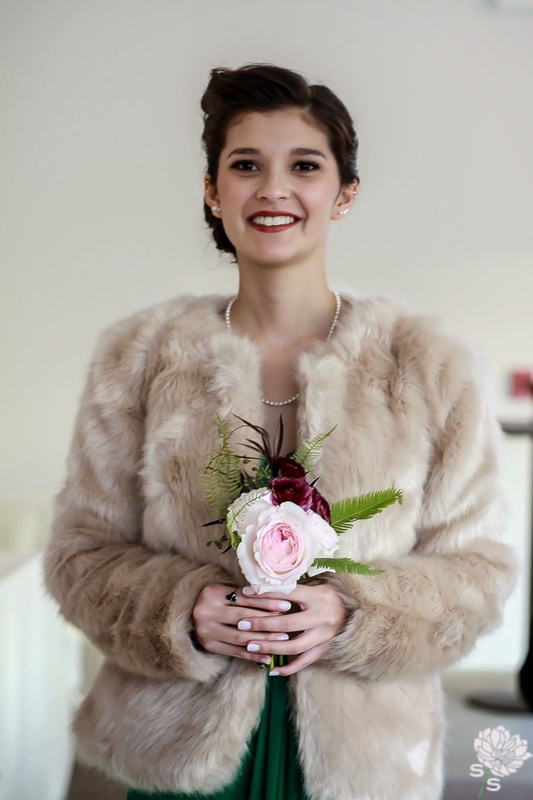 The bridal bouquet was a floral audible I made. 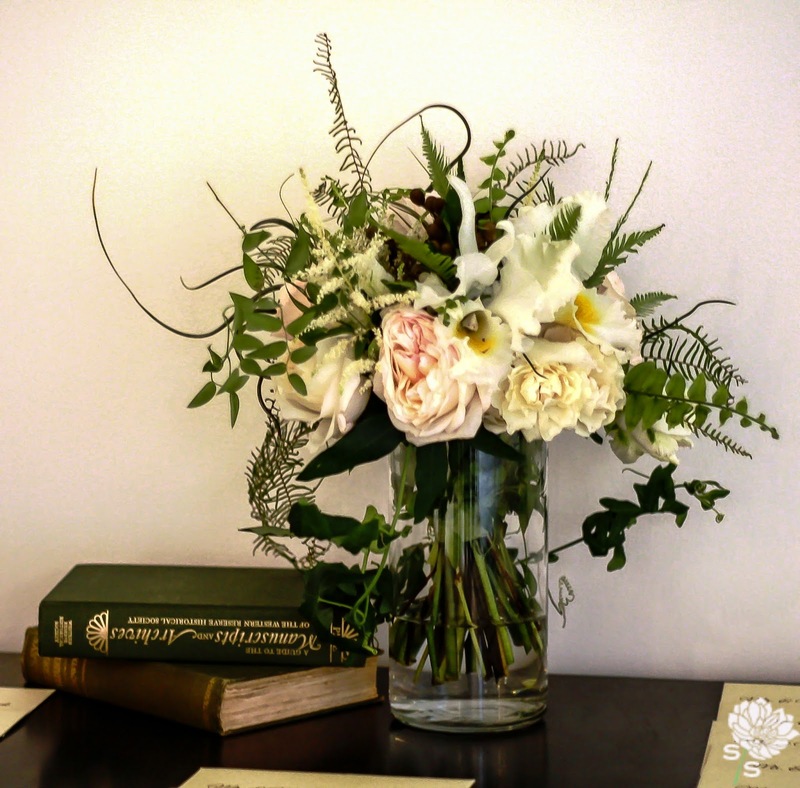 I had never done this before, but after getting to know Tierney better during the planning process, I made a different bouquet than the one in her proposal. 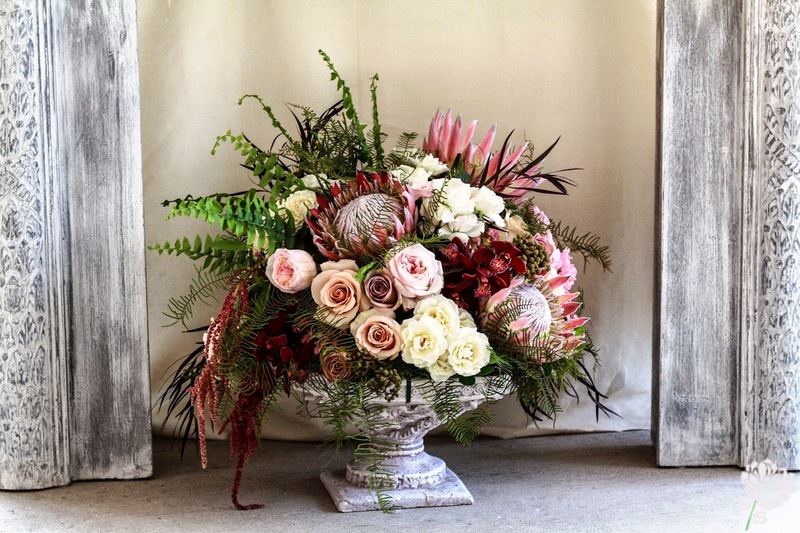 Based on the bouquets she had pinned and liked - I had a feeling she would be happier with another bouquet. 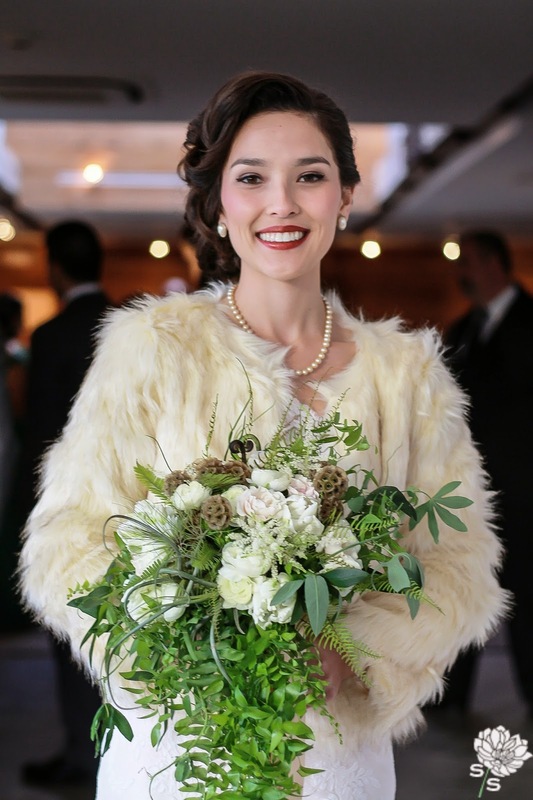 Of course I was ready, just in case my hunch was wrong, but Tierney was ecstatic with the bouquet! 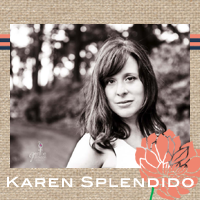 She loved it!...and I love when I get the opportunity to really get to know a bride. The outcome is always fantastic. 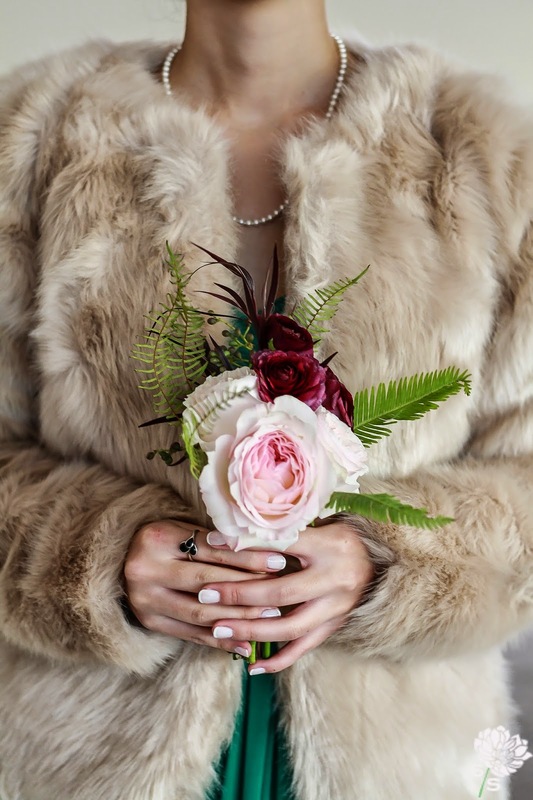 Bridesmaids Bouquets - Petite hand-tied bouquets designed with blush garden roses, burgundy ranunculus, privet berry and ferns. 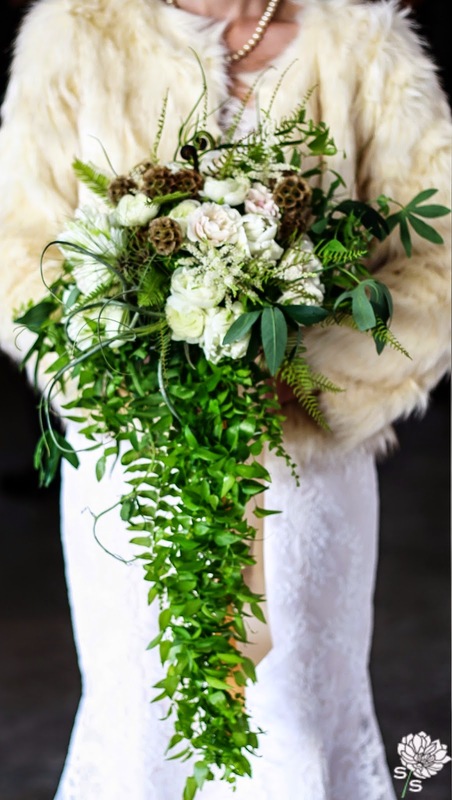 Usher Boutonnieres - Scabiosa pod and white astilbe accented with fern. Thank you to my delivery man, prop builder and personal photographer, John, for taking these amazing pictures. 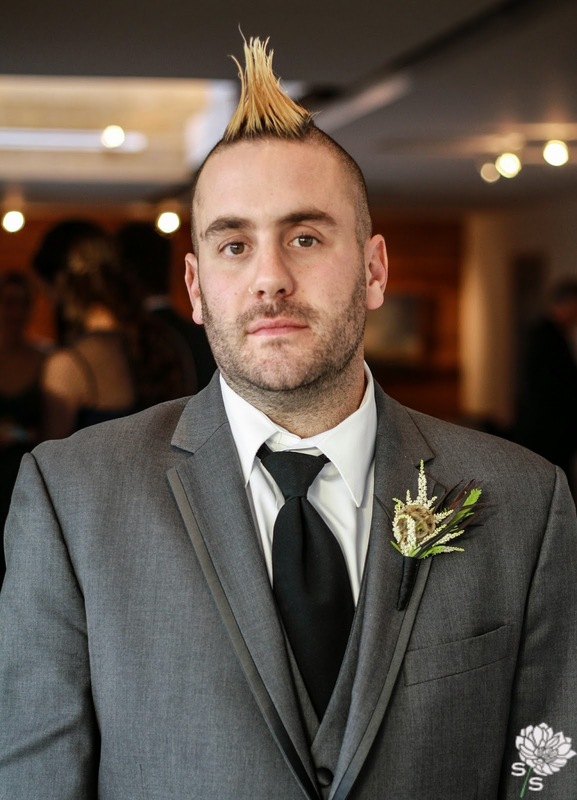 With that said - we do not have any actual wedding pictures or pictures of Vince! So we are looking forward to the professional pictures and will post more from this fabulous wedding in the future! 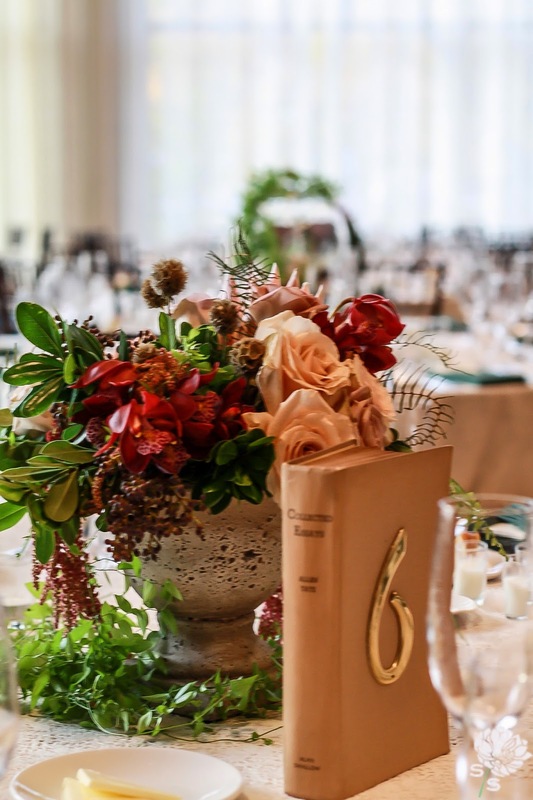 Two distinct and wonderful centerpiece designs were used for this reception. I absolutely loved both designs! 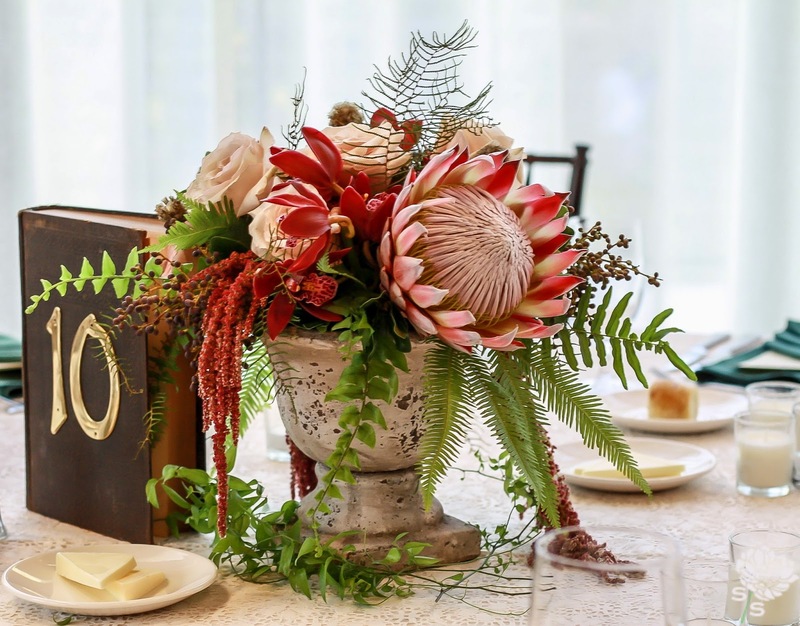 The protea in the urn design made such a statement, along with orchids and many other gorgeous flowers - so wonderful!! 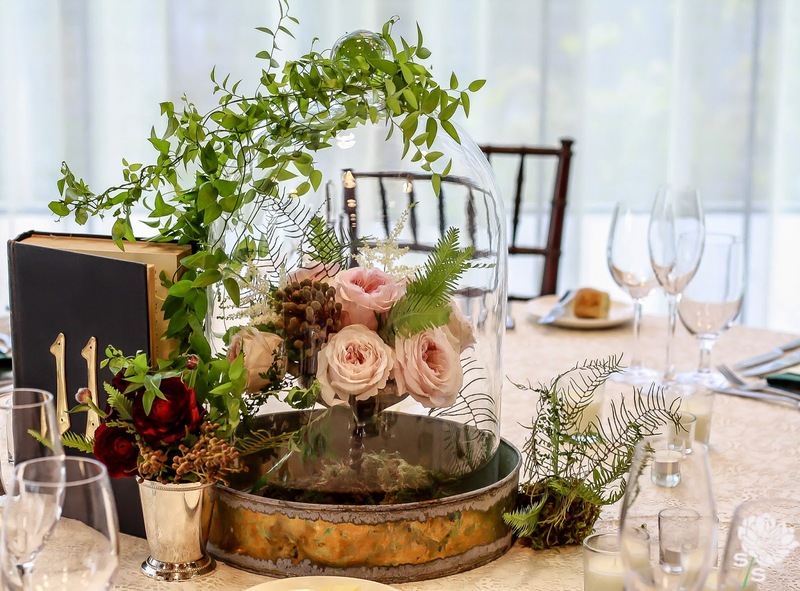 The second centerpiece design included raised compote dishes inside awesome glass cloches sitting in an antiqued metal tray. 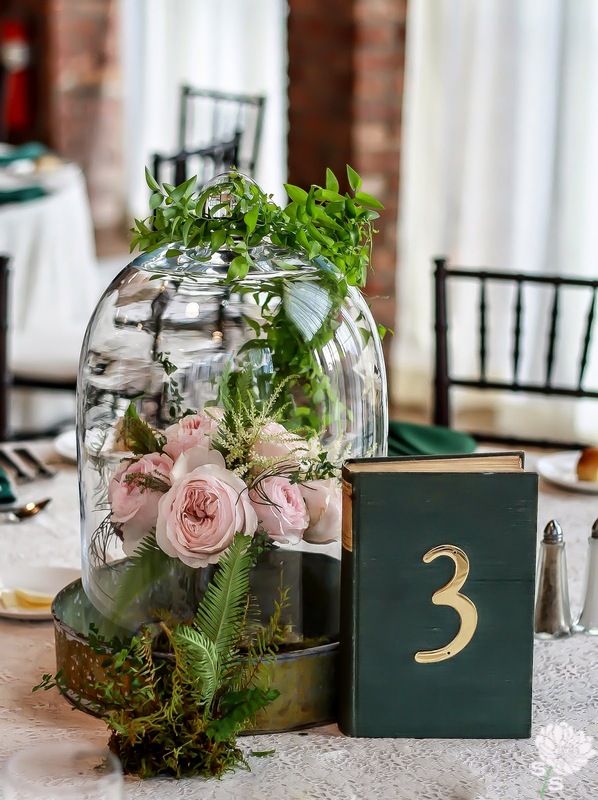 The cloches were planked by a mint julep cup of ranunculus and berries and a petite fern mound. 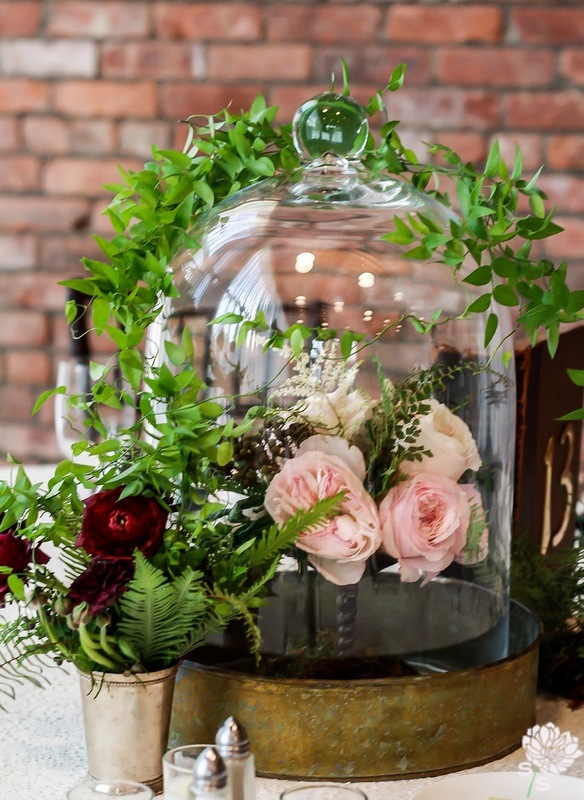 The cloches had trailing vines creeping up and around the top. 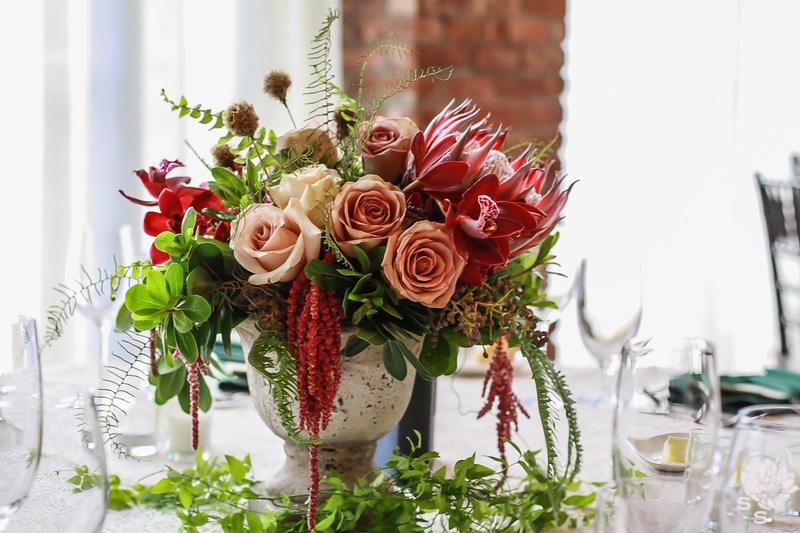 The perfect combination of natural, modern and classic. 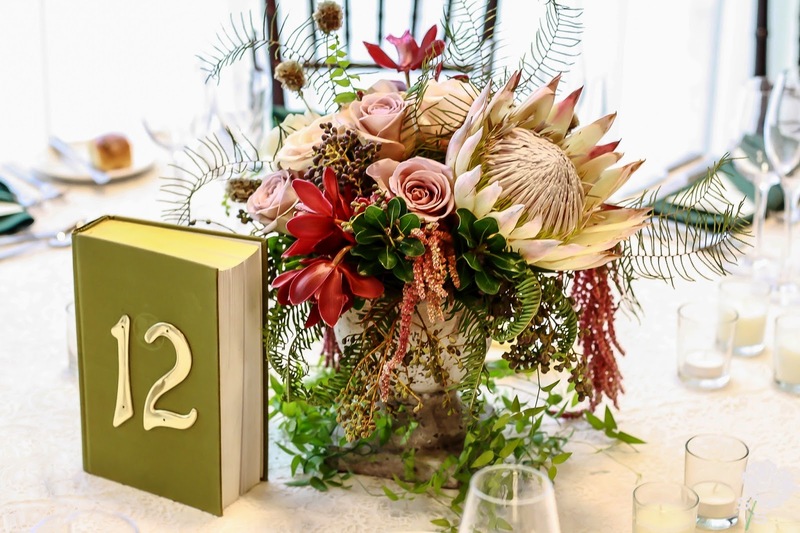 Tierney did a great job with the old book table numbers! I truly wish this wonderful couple a happily ever after! 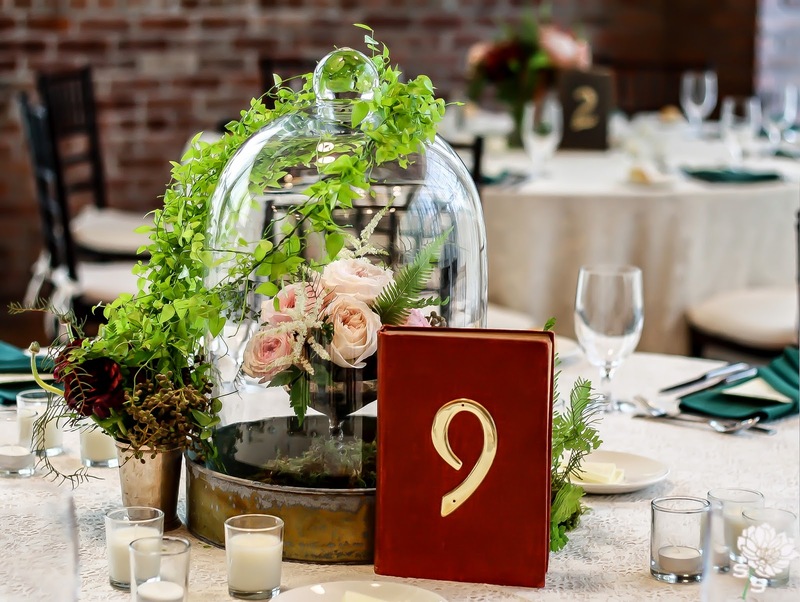 Where can I find table numbers just like these? I'm obsessed and would love this at my wedding! Thanks! 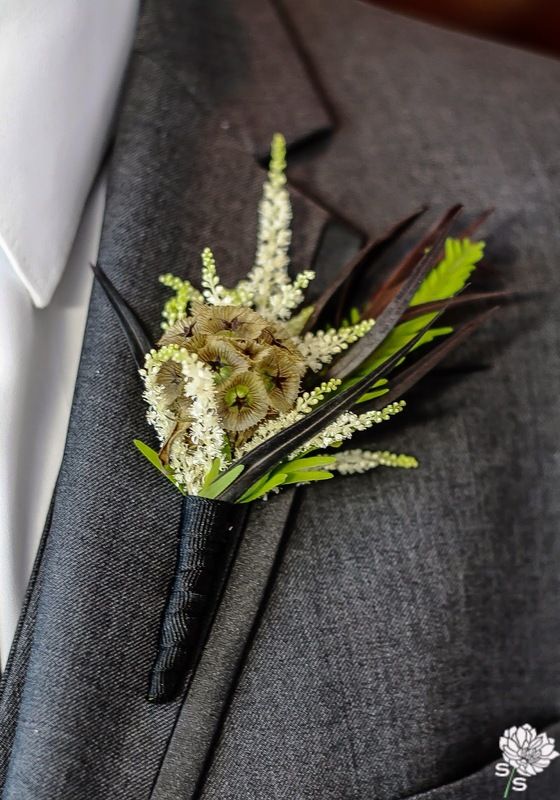 The Boutonniere - Guys Matter Too!